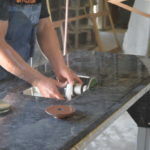 Sunset Granite is a countertop manufacturing business specializing in fabrication and installation of granite, marble and quartz countertops. 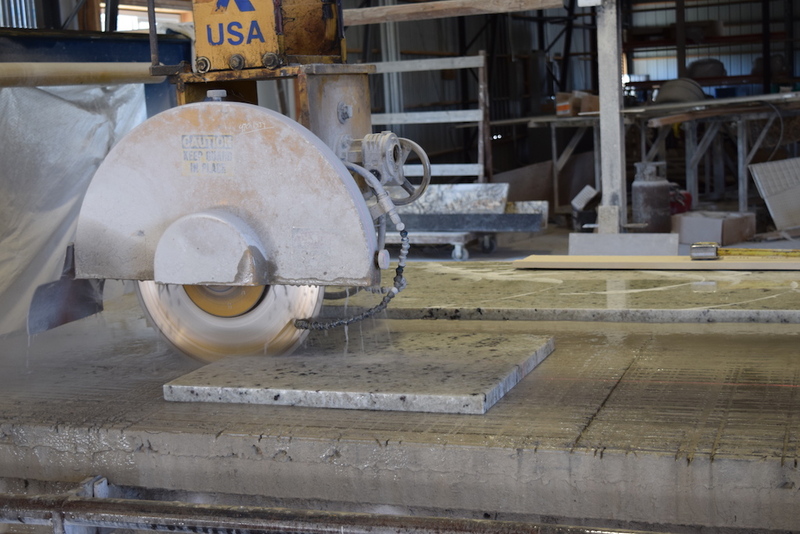 The process of fabrication begins with a slab that has been cut and ends with a fully ready-to-polish piece of stone. Our technique and skill make us the natural choice for every stone project that you want done right. 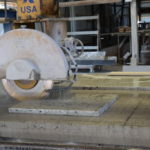 Slab inspection is the first important piece that we look at when we begin our process. We look for anything that could be a challenge for cutting, finishing, installation and use. This can be anything from fissures to cracks, pitting and divots. These are important to catch in the beginning before you have your heart set on a piece of stone. We don’t want you falling in love with a piece that we ultimately can’t use. We take the time and do our due diligence so that you don’t have to wait for a later delivery date. Many slabs end up with roughly 30% waste, so small issues, especially near the edges, won’t harm our custom countertop or custom stone projects from moving forward. We lay out the slab you have selected and use guides to help us to access the most attractive parts of the slab for each area that will be fabricated. We make the most of every piece of stone so it is essential that we take the time to do this the right way before we cut. We lay out all the diagrams on the slab before we make the first cut. Our diagrams are made from 1/8-inch plywood. We want your project to look like a whole piece, so where we layout and cut is crucial to making the final product look exceptional. Our equipment makes the cutting process a breeze so we maximize the value to our customers for their budgets. The cutting is just a minor part of the process. 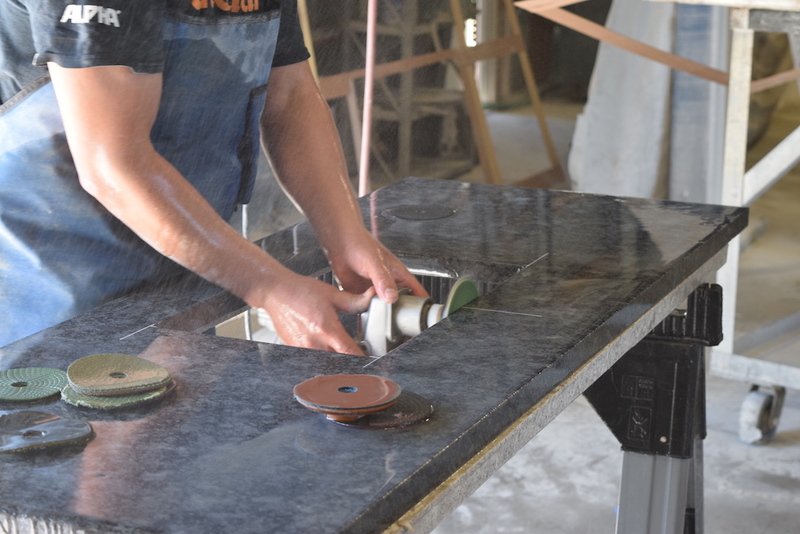 Before a polish is put on your new slabs of finished stone we use a router to create the desired edge. These edges vary from a 90-degree edge to a bull nosed edge, which is rounded. There are various styles of edges and each requires a level of skill different than the others. The chosen edge will impact the total cost of your finished piece. After the edge has been created we use a series of buffing pads to grind out the newly cut edge, matching it to the main surface. 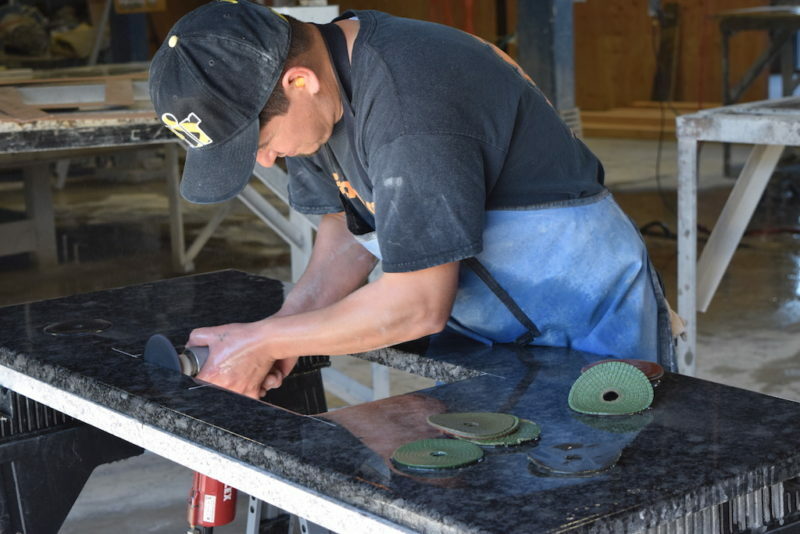 Our expert crew has years of experience making these slabs of stone look uniform and beautiful. Our job is to bring out the beauty that is within every slab of stone whether it is engineered quartz or natural marble and granite. 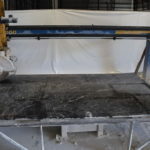 While we are experts in designing and fabricating beautiful natural stone and quartz countertops, we also offer prefabricated and remnant options. This allows you to have access to the same superior quality materials, but at a fraction of the cost. 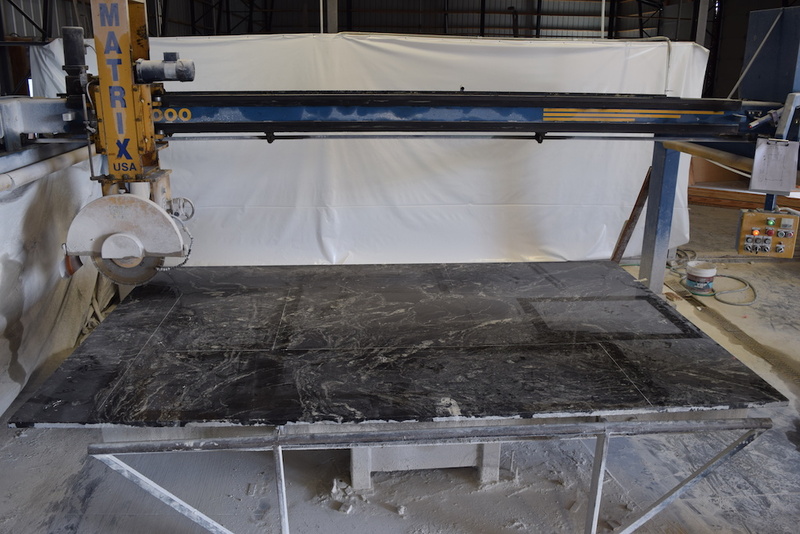 If a custom fabricated natural or engineered stone countertop is outside your budget, talk to Sunset Granite about prefab or stone remnants. You might be surprised to discover the perfect stone piece for your kitchen or bathroom was just waiting to be found. We offer a wide selection of natural stone colors, textures and finishes including granite and marble. We also have a great range of Quartz countertops available. 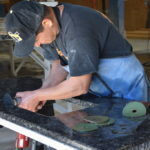 Sunset Granite has been offering fabrication and installation services for Granite, Marble and Quartz Countertops in the Portland Oregon area since 2006. Copyright 2019 Sunset Granite | All Rights Reserved.